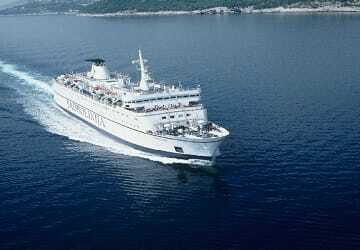 For more information, please visit our Ferries from Croatia to Italy page. 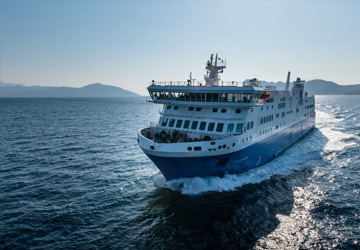 The Zadar Ancona ferry route connects Croatia with Italy. 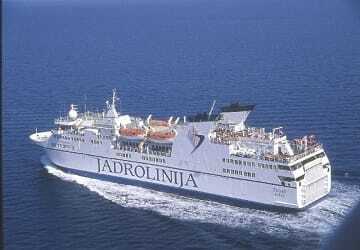 Currently there is just the 1 ferry company operating this ferry service, Jadrolinija. The crossing operates up to 5 times each week with sailing durations from around 6 hours. Zadar Ancona sailing durations and frequency may vary from season to season so we’d advise doing a live check to get the most up to date information. Prices shown represent the average one way price paid by our customers. The most common booking on the Zadar Ancona route is a car and 2 passengers. Toilets dirty from the beginning and air conditioner it was too strong especially for kids!!!! Zara-Ancona 12th of August. Punctual departur at 11:.30 arrival at 18. On the ticket they tell you to go 3 hours earlier to do the check in, otherwise you will lost your trip. In Zara the check in must be done at the Zadar Gazenica port inside the building with red roof where there are the toiles and cafè. 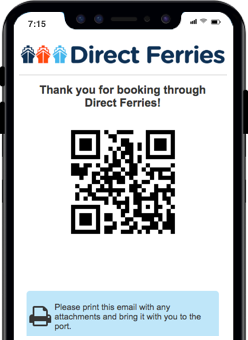 After that you can star the boarding queue. We arrived at 8 at the italian's port, and there is no one. All the others arrived around 9:30 at the kiosks for the Jadrolinija close to the ships. Ship was a bit old and small. Quite good clen (toilets looked like the train stations one, to give an idea). Expensive food not in line with the croatian one. Is better to bring with you a sandwich and a bottle a water. Boring but nice crossing. Unassuming trip. The city of Zadar in Croatia lies on the Adriatic Sea coast, in the Dalmatia region of the country, and faces the islands of Ugljan and Pasman which are separated from Zadar by the Zadar Strait. The deep moat that used to separate the old city from the mainland has since been filled in. The city's structure was laid out in Roman times, during the time of Julius Caesar and the Emperor Augustus, who fortified the town with walls, towers and gates. There was a forum, basilica and temple in the west of the town while outside there was an amphitheatre and cemeteries. Still visible today, and partially preserved, is the aqueduct that was built to supply the town with water and inside the ancient town, a medieval town had developed which prompted the building of churches and monasteries. The Roman Forum is one of the most popular tourist attractions in Zadar and is the largest on the eastern side of the Adriatic. It was built by Augustus, as shown by two stone inscriptions about its completion dating from the 3rd century. Ferry services from the town's port depart 7 times a week to Ancona in Italy. The crossing time for this service is around 6 hours. The Italian port city of Ancona is located in the Le Marche region of central Italy and has been gaining in popularity as a tourist destination over recent years thanks to its natural beauty and lovely gastronomy. The city lies on the Adriatic Sea coast, some 200 km from the city of Bologna and 280 km from the city of Rome, the Italian capital. The city's natural defences, located between the slopes of Monte Conero and Monte Astagno, made it a good location for the original settlers from Syracuse to defend. Greek merchants established a Tyrian purple factory in the city and their influence on the area is widespread. During Roman times the city had its own coin system and Greek was spoken throughout the area. Ancona is a very important sea port and is well connected by its port to many other locations. The best and easiest way to reach Ancona is by ferry, which operate to destinations including Split, Rijeka, Zadar, Hvar, Korcula, Dubrovnik, Patras, Igoumenitsa, and Dugi Otok.